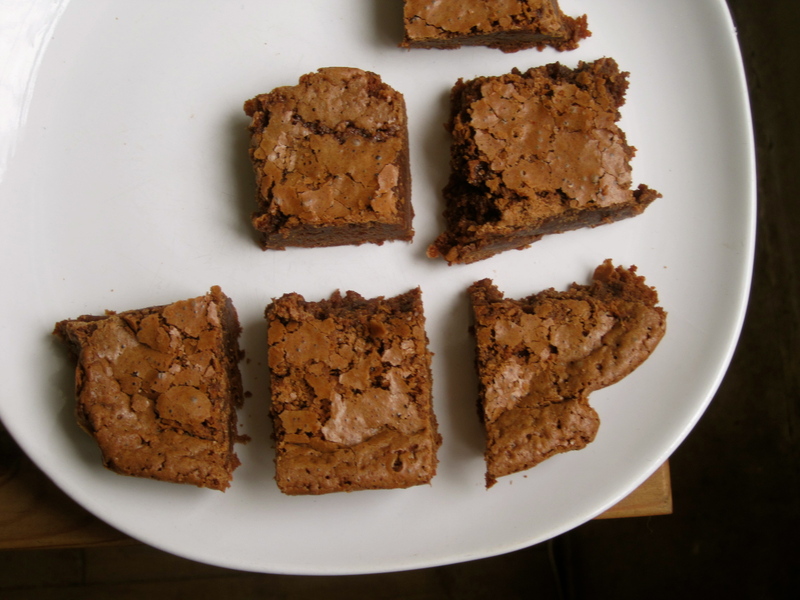 Whenever the urge for brownies strike, it’s all-powerful and consuming. To the point that I’m checking the clock every other minute while they are in the oven, urging them to bake faster, and once they finally do emerge from the oven in all their gloriousness, I never let them cool before I cut into them. I’d rather burn my tongue than wait one more minute! Living abroad has made this insatiable brownie craving rear it’s ugly head all the more often, I suppose because brownies are so terribly American and I reach for them instinctively during bouts of homesickness . 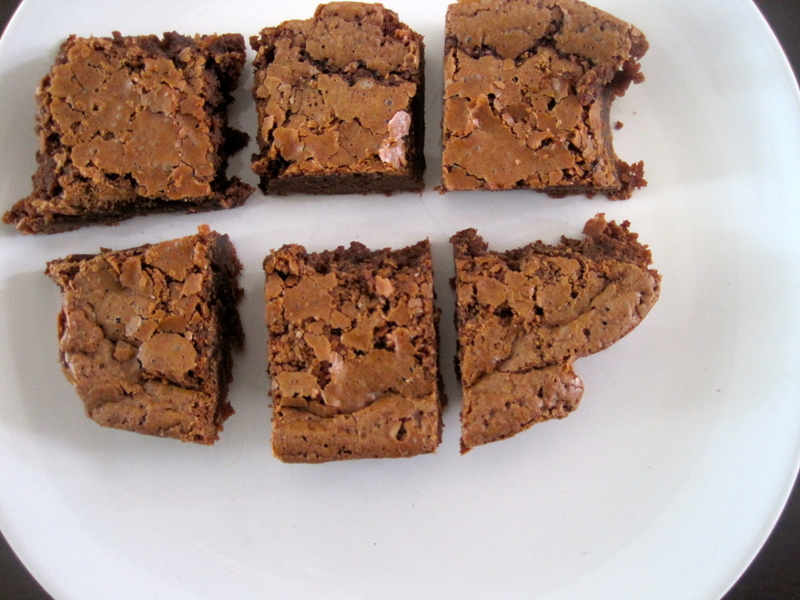 Here is my go-to recipe in times of dire brownie need. Preheat oven to 350°F (180°C). Line an 8×8-inch square baking pan with parchment paper. In a medium heatproof bowl over a double boiler, melt chocolate and butter together, stirring occasionally until they are just incorporated together. Remove from heat and stir together until it’s smooth and glossy. Whisk in sugar, then eggs, one at a time, then vanilla and salt. Fold in flour with a spatula and scrape batter into prepared pan, spread until even. Bake for 25 to 30 minutes, or until a cake tester inserted into the middle just comes out clean. If you’re feeling fancy, use a sieve to dust the brownies with powdered sugar or cacao powder before serving. Or, if you’re into that whole salty sweet combo (who isn’t?) sprinkle a pinch of flaky sea salt over the top. Let cool before you dig in (or don’t, but try not to burn your tongue like I do) and cut into desired size.